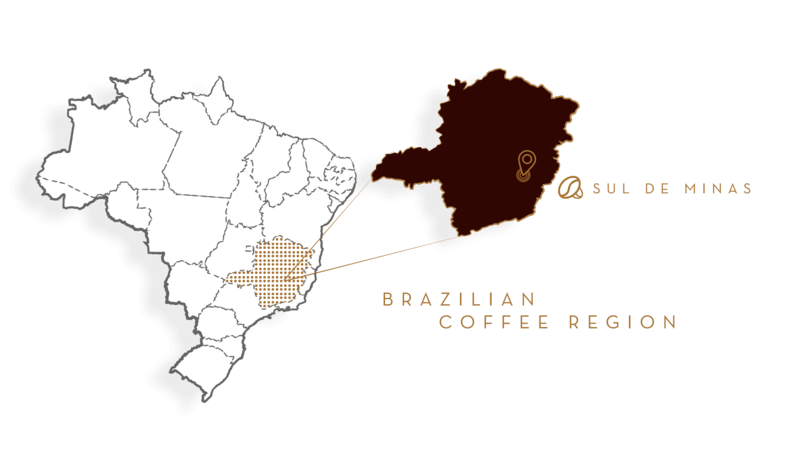 Sul de Minas is one of the largest and most-respected coffee-producing regions in Brazil. The source of major specialty coffees, this region has both small and large farmers, all focused on quality and ensuring that only the ripest coffees are manually selected. The combination of altitude (3200 feet), moderate climate, and favorable rainfall makes it an ideal environment for the exceptional Arabica beans that we look for in our blends. This coffee is characterized by its complex flavor, pleasant sweetness, and acidic accents. When it comes to cup qualities, our Sul de Minas coffee will leave you delighted with its wide range of flavors.